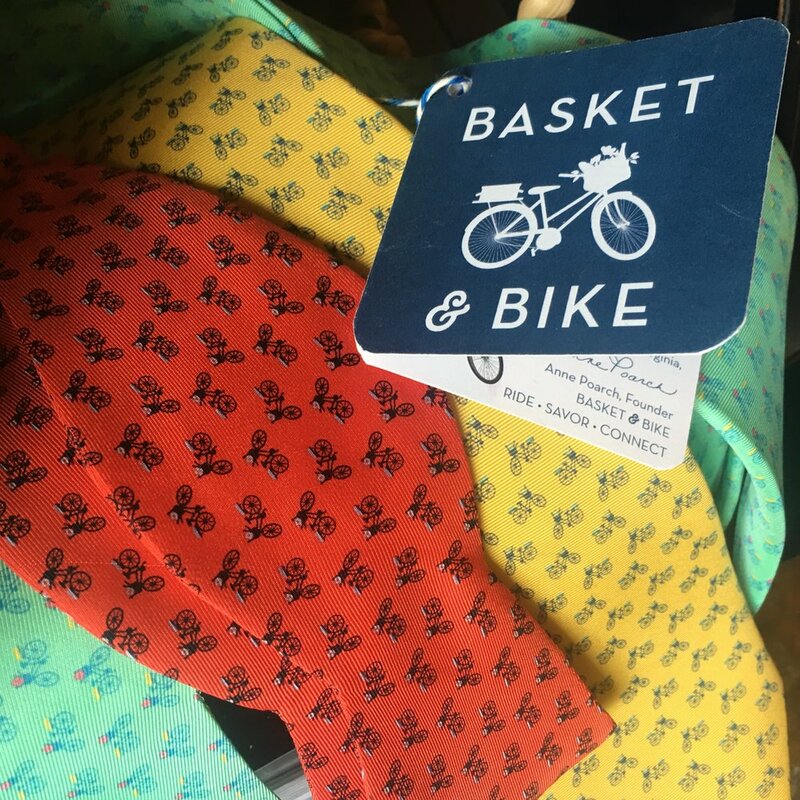 Basket & Bike has partnered with Richmond based Peter-Blair Accessories to create a beautiful and sophisticated gentlemen's tie with our trademark whimsy and Virginia Cycle Chic bicycle. 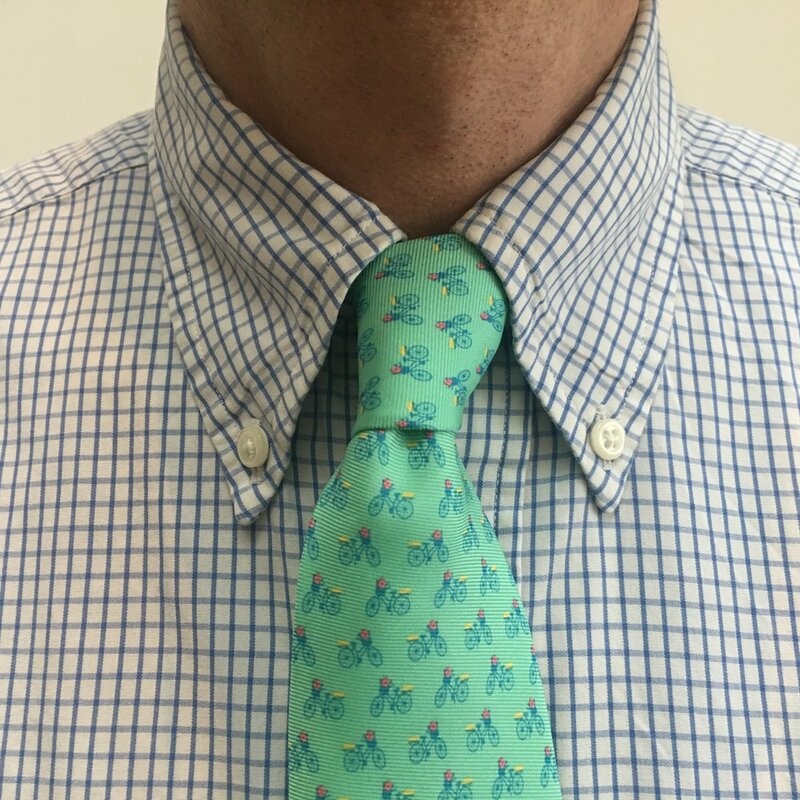 This tie gives nod to the leisure bicycle lifestyle of simple rides along a country road with a bike basket packed for adventure, and comes in 4 colors as a necktie or bowtie. I worked with amazing creative and CEO of Peter-Blair Accessories, Kate Ackerly. From start to finish this was a FUN project, plus I made a great new friend who has inspired me to keep dreaming and doing. The art of fashion, and playing with the design and color elements has always intrigued me, and creating this tie with Kate gave me a fantastic opportunity to see the project through from nugget of an idea to completion. 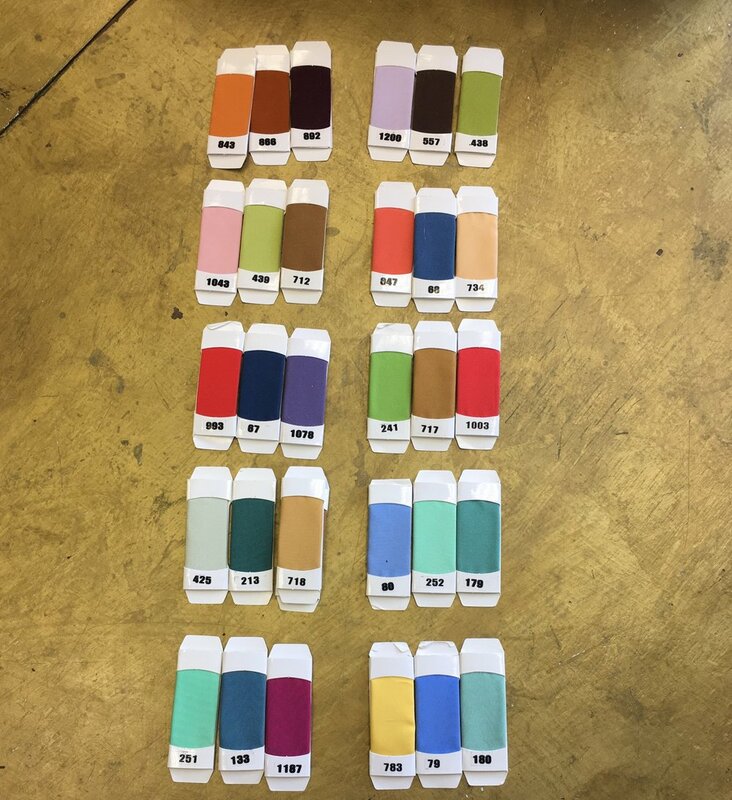 The first step was sizing our logo to the right repeat pattern and choosing colors. I touched the silk and grouped hues together, deciding which combinations were the most pleasing. By choosing four colors we had the latitude to select something traditional and still include something a bit more unusual. After deciding on at least 8 patterns the next step was to produce the samples. We are thrilled to have partnered with Peter Blair on crafting a tie that, as they say, "evokes stylish confidence, is timeless, and will continue to serve gentlemen for generations to come." Peter-Blair Accessories takes pride that their products are of the highest quality, use only the finest materials, and are handmade in the USA. At this point it bears repeating how incredibly happy I am to have worked with Campfire & Co on the branding aspects of Basket & Bike. As a small business, having a thoughtfully curated and professional brand guide brings me confidence and an amazing amount of joy. A joy that translates for all who are drawn to our tours and products (and now this tie). So thank you Christina Kern, Lauren Stewart, and Christie Thompson. The beautiful work you did in late 2015 continues to burn bright and spur new flames of creativity. A bouquet of flowers, a crunchy baguette fresh from the baker's shelf, a hunk of delicious local cheese, and a bottle of your favorite Virginia wine and you are set to find that perfect picnic location. You can Shop our ties now! and they will soon be available at Peter-Blair 5800 Grove Avenue in Richmond, The Carytown Collective 3422 Cary Street, and at other stores across the USA where Peter-Blair ties are sold. Thank you Kate Ackerly and Peter-Blair for the great design collaboration! Happy Spring Everyone - Come see us in town and on the trail! Sharing a little Basket & Bike and Virginia love this sweet hangtag will adorn all the ties.